Suzy Klein's guests include countertenor Andreas Scholl, who performs live in the studio accompanied by his wife, harpsichord player Tamar Halperin. Plus the Escher Quartet. 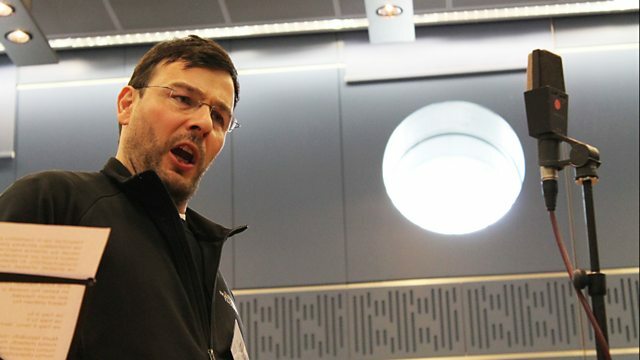 Suzy Klein's guests include countertenor superstar Andreas Scholl. He's the main featured artist at this year's Easter at King's Festival in Cambridge, and will be performing live in the In Tune studio accompanied by his wife, the harpsichord player Tamar Halperin. Hailing from New York, the Escher Quartet have been described as "one of the finest quartets in their generation" - they stop into In Tune to play live as part of their UK tour. Also in the programme: Sean Rafferty visits the Royal Collection to discover another delight from their array of Georgian objects. Performer: Andreas Scholl. Performer: Berlin Academy of Ancient Music. Conductor: James Judd. Performer: Benjamin Grosvenor. Performer: Royal Liverpool Philharmonic Orchestra. Conductor: Vladimir Jurowski. Performer: London Philharmonic Orchestra. Performer: Danielle de Niese. Performer: Nancy Cooley. Conductor: Philippe Herreweghe. Performer: Andreas Scholl. Performer: Collegium Vocale Gent. Performer: Jack Liebeck. Performer: Katya Apekisheva. Performer: Stephen Rice. Performer: Brabant Ensemble. Conductor: Gustavo Dudamel. Performer: Simon Bolivar S O. Conductor: Marco Armiliato. Performer: Jonas Kaufmann. Performer: City of Prague Philharmonic Orchestra. Conductor: Stephen Gunzenhauser. Performer: Slovenská filharmónia.